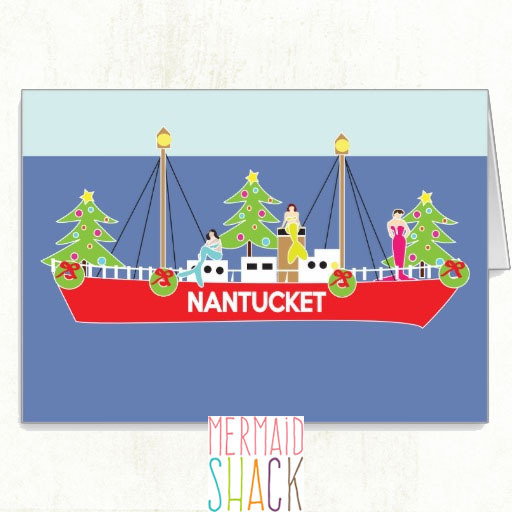 Nantucket Mermaids know how to travel in stlye! 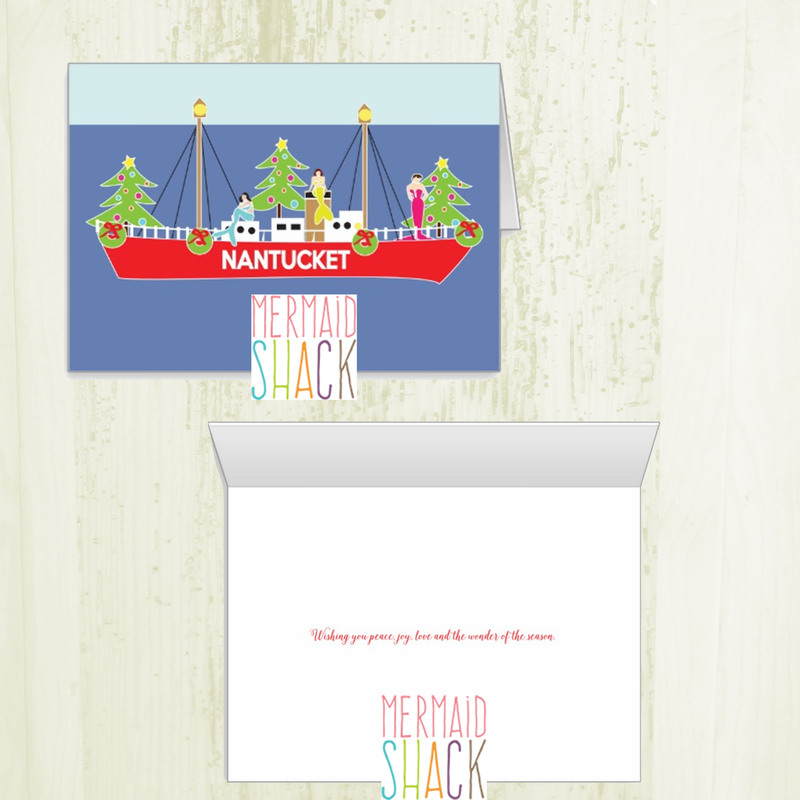 Nantucket Mermaids really know how to celebrate Christmas in Nantucket! A decorated Nantucket Light Ship is the only way to travel to the company Christmas Party. They card reads: “Wishing you peace, joy, love and the wonder of Christmas.” These Mermaids really know what is important!